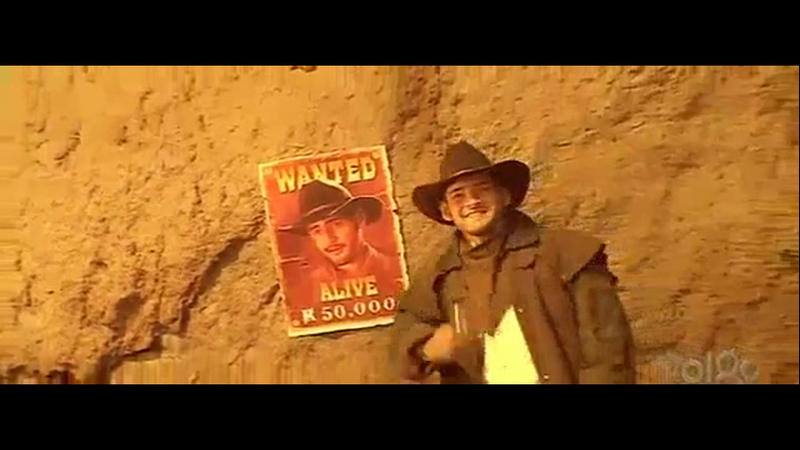 Made back in the day when Mahesh Babu was more baby-faced than baby-faced killer, Takkari Donga is a cowboy treasure quest featuring a map, a secret ‘diamond valley’, plus some bad acting and worse outfits courtesy of Bipasha Basu and Lisa Ray. Oh Mahesh. You’ve come a long way! 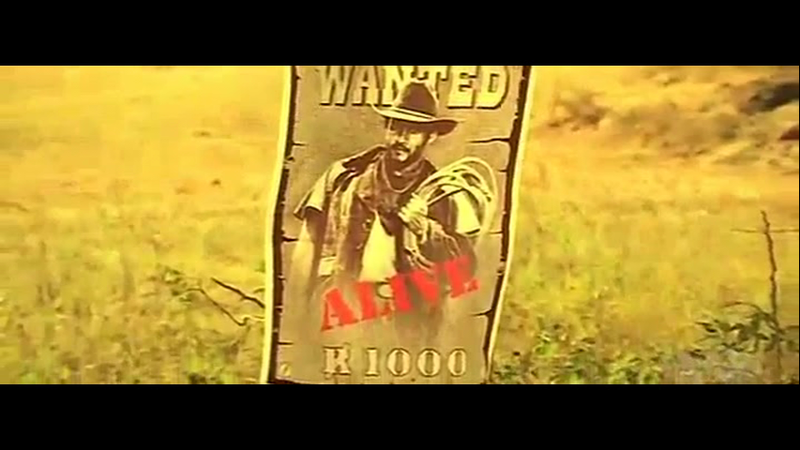 The Mahesh Fan prompted me to watch this film some time ago (“It’s Mahesh! In chaps!!”). As I often do, I ignored her. She sent me the link to watch it with subs on YouTube. Again, I somehow managed to ignore that (“It’s Mahesh! In chaps!! And there’s venom sucking!!!”). Finally she turned up at my house with a DVD made up of all those YouTube clips cobbled together. Resistance was futile. And she was right – it does feature Mahesh in chaps, and there is indeed venom sucking. I don’t think they are the most compelling reasons to watch a film, but I was quite amused by the sheer silliness that has diamonds harvested like fruit and a bit of skanked up boot-scooting. I watched it ages ago with Beth and Amrita and they found it tedious. But I say there is (fools) gold in them thar hills. It’s a pastiche, maybe more along the lines of the Trinity series than a purported remake of The Good, The Bad and The Ugly. The music is a good match as Mani Sharma veers from Marlboro Country anthemic to cheesy songs. There is also a fair dollop of ‘sad trombone’, Addams Family finger snaps and samples from other Hollywood soundtracks. The camera work is often lovely and there is good use of aerial shots that help capture the grandeur of stunning scenery. It’s loaded with cowboy film standards – a saloon brawl, pratfalls, gun twirling and enigmatic galloping. There is a rickety bridge, TNT, smart horses and dumb humans. All the clichés, lovingly filmed for our enjoyment. Plus lions. Mahesh Babu is Raja, the titular ‘Tricky Thief’. Raja has a tragic backstory that featured his family, a tiny white puppy and villain of the piece Shaka at his most sadistic. He’s an enigma. I mean, where does a man who is essentially homeless keep that extensive hat collection? Raja’s bullets pack an extra punch as several opponents are literally blown away with a single bullet, flying out of shot thanks to some enthusiastic wire work. 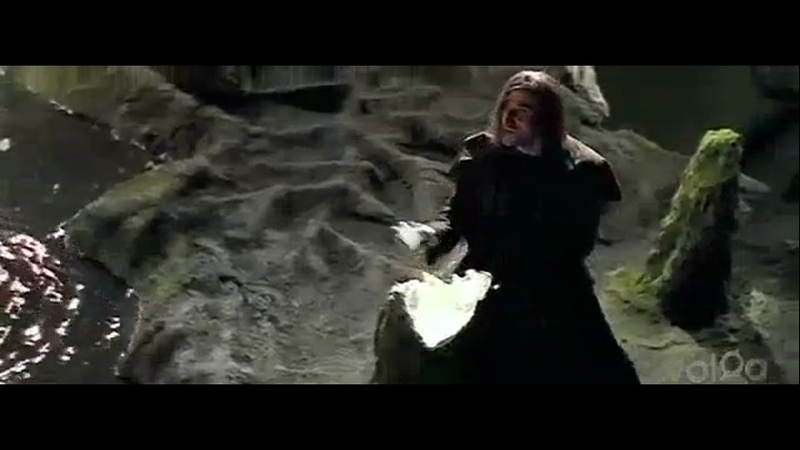 But he also deals with an epic rope bridge confrontation simply scaring the bad guy silly by wobbling the bridge so it’s not all guns and blood spatter. I could empathise with the creepy Dega in that scene. A friend did that to me every single time we crossed a bridge in Nepal and he always found it amusing to see me ricocheting past yaks and backpackers as I fled into the distance. 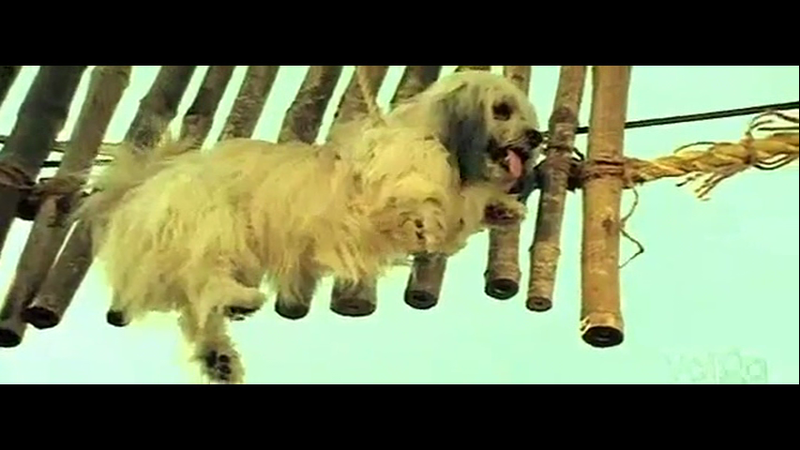 Of course, the bridge HAS To break eventually but the villain is actually sent to his death by a fluffy white dog. Excellent! 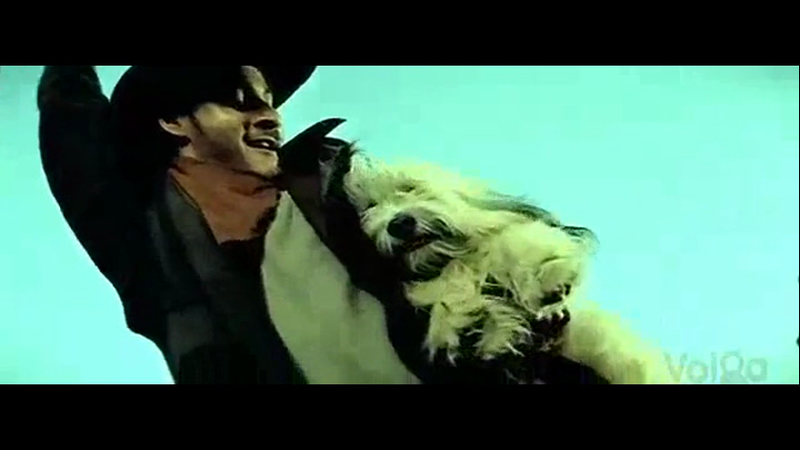 And then Mahesh rescues the dog so he is doubly heroic and the music agrees. I do like a good dog assisted comeuppance. 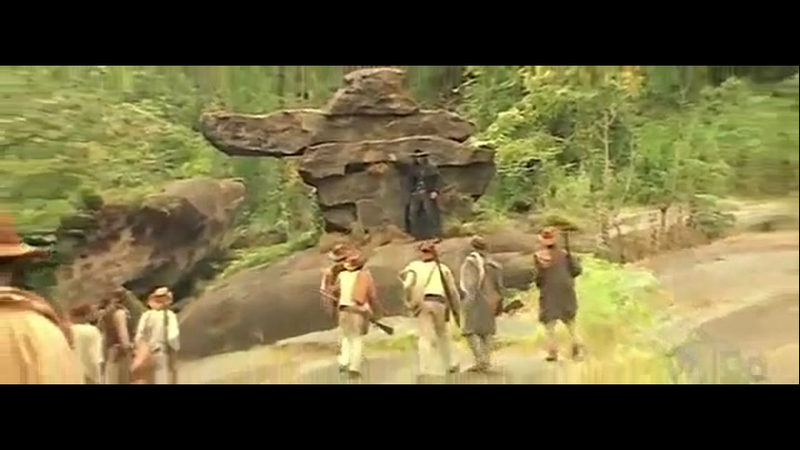 Panasa (Bipasha) makes her entrance pretending to be blind in order to rob Raja who had just robbed a train. Raja pursues her to get his booty (the money – I’m talking about the money). Despite Mahesh making loads of noise and lighting up a cigarette she persists in pretending she has no idea he is there which makes for a nicely gratuitous bath scene. She falls for Raja but to no avail, as he seems immune to her charms as amply signalled by her snug fitting leather pants. Lisa Ray is Bhuvana, the girl destined to marry a man with exceptional qualities and a significant mole on his thigh. She sets off on a perilous journey to her uncle’s house with Raja as her paid guard, but really she is all about checking him for that mole. Lisa got a gratuitous bath scene as well as the venom sucking scene so I feel the film maker’s objectives were clear. There is a vague love triangle as Panasa chases Raja who is sort of keen on Bhuvana who hates Raja but we know that won’t last. Panasa is a piece of work, conspiring with her sidekick (Tanikella Bharani with comedy moustache) to get Bhuvana kidnapped by the horrible Dega who likes his women to be unwilling and temporary guests. The humour is very slapstick, uneven and only intermittently funny. Sometimes things do work well. 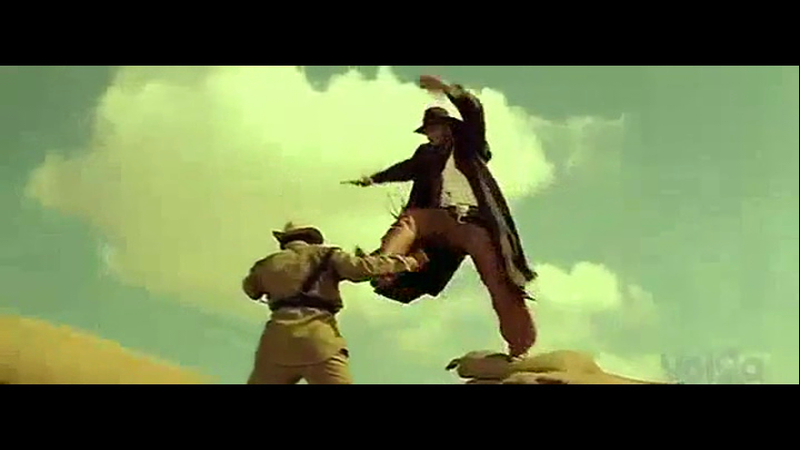 I liked the way Raja would scoot into frame during the Chukkallo Chandrude song and shoot people to emphasise the beat. 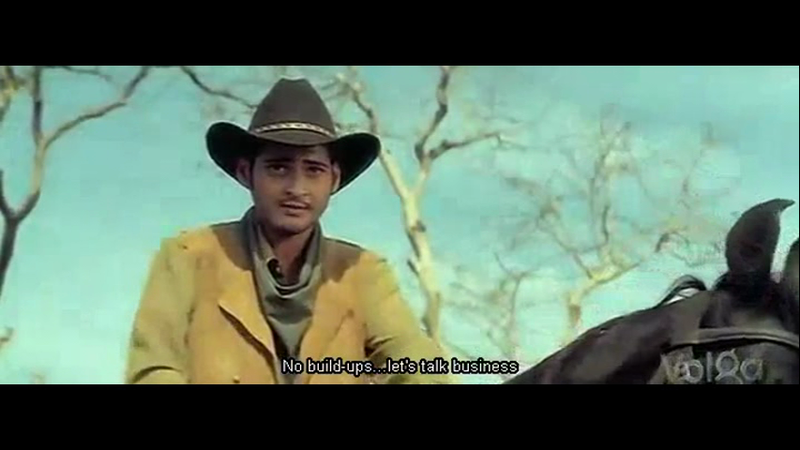 And if you ever wanted to see Mahesh weaponise a bra – wish granted. 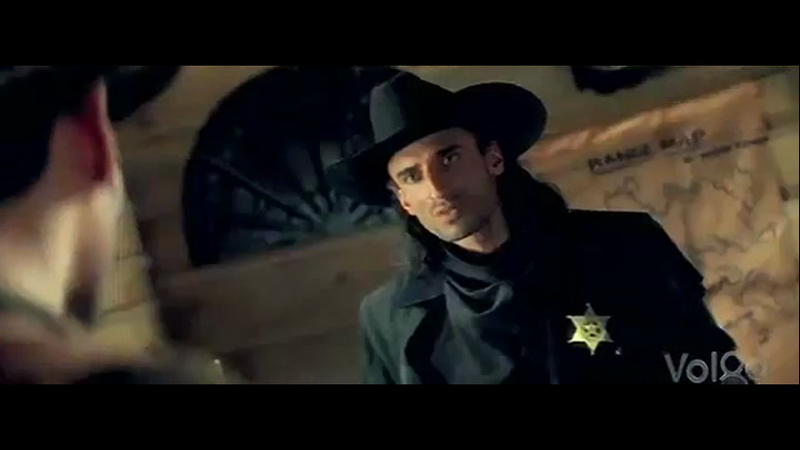 Rahul Dev is the villain Shaka. 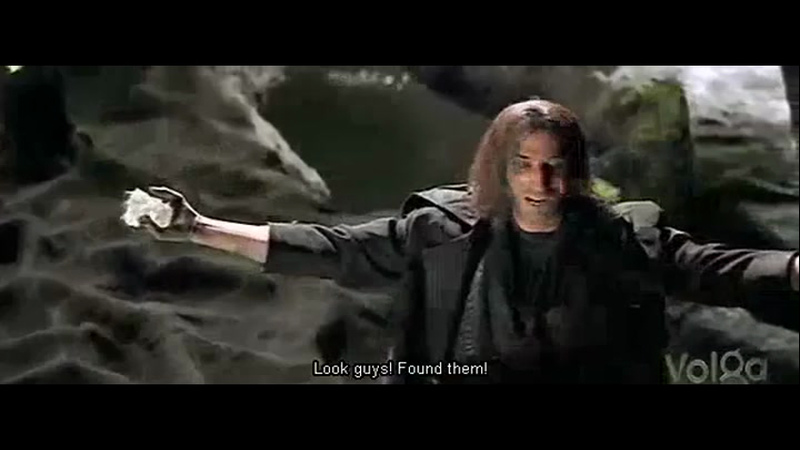 He is obsessed with finding the map that Veeru (Ashok K Kumar) escaped with. 18 years of looking and time has not mellowed his disposition. I can’t help but think that if he had actually looked for the diamond valley rather than the man with the map he may have got there all by himself. Shaka has an unfortunate tendency to let his victims die before they speak so he is eternally frustrated. He is a sadistic psychopath and appears to own just one outfit. He has a significant scar but I think his nose is just so hypnotic it takes a while for Raja to notice the fateful mark. But the plot is not really worth discussing in detail. Either you’ll enjoy the story unfolding or you won’t care. It’s set in a non specific time and place using Western tropes including a Texas Rangers Sheriff badge alongside piles of chilli drying in the sun mixed with tacky plasticky photo frames and vile synthetic fabrics. The design team had some fun with the map and subsequent clues and the diamond mine is quite astonishing. 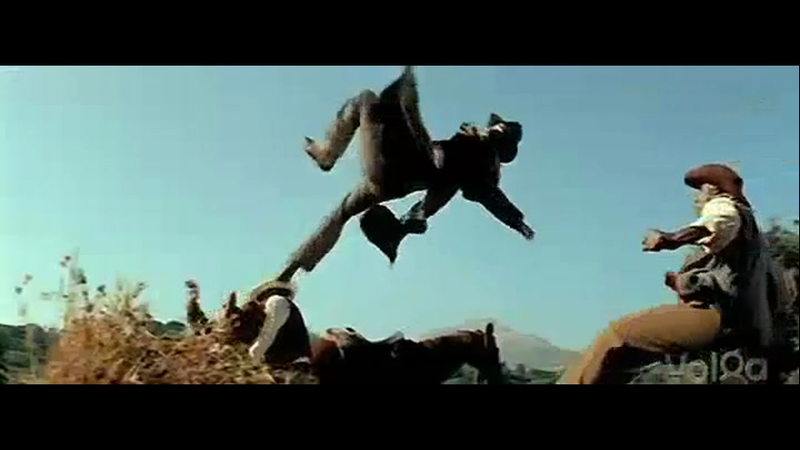 I was quite concerned when I realised there would be lots of horse scenes as frequently the stunts in films are horrifying and it is obvious that some animals would have been severely injured (at best). Takkari Donga relies mostly on the horse chase and equine acting so there was nothing that had me ready to cover my eyes. The fluffy white dog seems to have mysterious powers of teleportation. He generally trots along after the drama waiting for a chance to save Raja so that was also quite stress-free. Jayant Paranji did go on to make the excellent Shankar Dada MBBS and Teen Maar, and we all know Mahesh’s star continues to rise so clearly this film was not the career ending move it might have been. The choreography is uninspired despite a credit for Saroj Khan (among others). Make sure you watch right to the end for a special appearance by Superstar Krishna and for the blooper reel. 3 stars just for the so bad it’s good-ness! This entry was posted in Tollywood and tagged Bipasha Basu, Jayant Paranji, Krishna, Lisa Ray, Mahesh, Mahesh Babu, Mani Sharma, Rahul Dev, Takkari Donga, Tanikella Bharani, Telugu, Tollywood. Bookmark the permalink. Temple Temple Temple – damning with faint praise when in fact this film can only be described as an Under-appreciated Masterpiece. Think about it. Mahesh! In chaps! (and high pants and fringing) Venom Sucking! Very Impressive Diamonds! = Masterpiece! Jenni Jenni Jenni. Jenni. I certainly appreciate it less than you although I am not sure that equals ‘unappreciated’ or ‘masterpiece’ 😀 I do agree it has some moments that will not be found in any other films. I just recently re-read my writeup of this film and while I suspect I would not be further impressed with it on a second viewing, we sure had a blast watching it together, full of wonders as it is. I think I’m due for my 4th or 5th rewatch. I fear that if I ever met Lisa Ray (we’re on the same continent!) I would just end up gushing to her about this film–to our mutual embarrassment.